This month, I’ve reviewed some Disney classics, listed favorite songs, villains and have ranked the Pixar movies from least favorite to favorite. So, I’ve pretty much covered everything and now to finish off Disney month properly, here are my absolute favorites, and by that I mean favorite of the traditional, 2D animated movies (for the record, the “Toy Story” films are my all time favorite animated movies ever made, traditional animation or not). As of now, Disney has released 46 animated movies, some better than others, but most of them are great. So here’s a list of my own personal, top 14 favorite traditional 2D animated Disney classics. Now this isn’t going to be an easy list to do because there are just so many great ones to choose from, so don’t be too disappointed if classics like “Pinocchio”, “The Sword in the Stone”, “Fantasia” and “The Lion King” are not mentioned, I like all those too, but I can only list so much. Also, these films aren't being arranged in any specific order of least great to greatest, it's just my personal favorites thrown out one at a time (well, #1 is definitely my number one favorite). 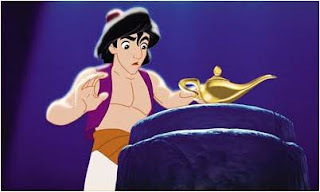 So with all that said, let’s look back at all the magic, fantasy and joy that Disney has to offer. Now here’s a very simple and very fun family adventure film. It may not qualify as great material but it is still a lot of fun to watch. Something about these characters and this world where everyones an animal morphed person is a real joy to be submersed in. I can watch these characters have simple conversations with each other all day and I’ll be satisfied, their just that much fun. Throw in some catchy music, fun action scenes, funny jokes and you got yourself a nostalgic gem. What a breath of fresh air to get a traditionally animated Disney movie in the late 2000’s, with traditionally wholesome charms and some of the best characters that Disney has provided in years. Also, count on Disney to take a location as dark and gloomy as a swamp and turn it into a magical and vibrant world in of itself. I especially love all the jazzy tunes and the overall look and feel of Louisiana. Not much else to say, it’s fun, magical, refreshing and a personal favorite. Disney's “Tarzan” is about as exciting as animated jungle adventures get, it’s faced passed and full of riveting action sequences. 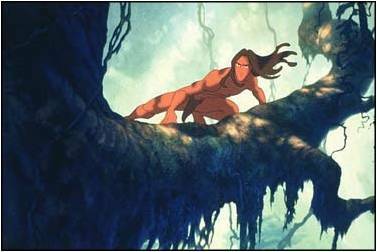 This film also marks the next big step in Disney animation, the stuff they do with Tarzan when he goes tree surfing is just awesome. The story is also good, the characters have their conflicts and the sound track by Phil Collins is outstanding. Overall, “Tarzan” is a really fun adventure for kids and does a great job taking a well-known story to an exciting new level. Now here’s a film that takes a relatively simple plot and turns it into an awesome animated experience. The first “Rescuers” movie from 1977 is one of the cutest animated offering from Disney but it’s the sequel that comes off as a far stronger film. It isn’t quite as heartwarming as the first but the characters are still just as great as ever. The real strength of this movie lies within its amazing production value. 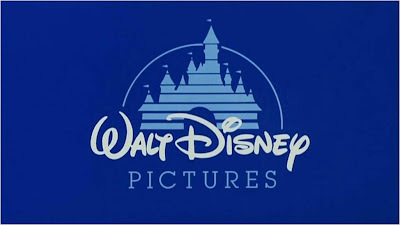 It was the very first impressive looking animated film that set the standards for the animation shown in “Beauty and the Best” and “The Lion King”. Every shot is an eye opener, with a huge scope, detailed settings, occasionally beautiful scenery and the eagle flight is honestly one of my favorite moments from an animated movie, capturing the beauty of flight perfectly. There may not be much more to this film other than an exciting family adventure, but then again movies like “Raiders of the Lost Arch” are still praised simply for being a good old fashion adventure flick, so why not this. Back when I was a little kid, “Hercules” was my favorite Disney movie that I’d watch all the time. It was a super hero story, it had giant monsters, it had catchy music, it had an awesome villain, it had slapstick comedy, it had memorable characters and stellar animation, it was just an awesome flick. As an adult, I still enjoy this film and found other things to appreciate. The characters have depth and the message is genuinely wholesome. All the Greek references are fun, the colors are great, the lighting is stylish, and I especially love the look and design of the film, which was based on artist Gerald Scarfe's work. Every time I watch this film I discover something new or notice something that represents a change in the story or in a character. 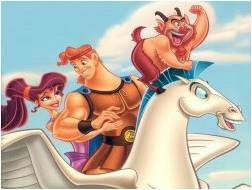 In a nut shell, “Hercules” is a colorful and faced paced film that offers a lot of entertainment as well as some decent morals for young viewers. 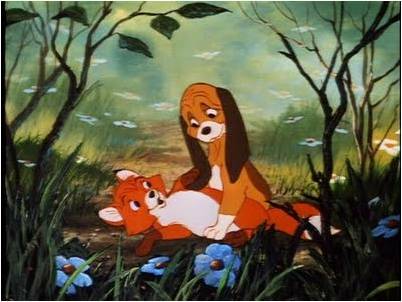 Of all the Disney movies to feature animals as the main characters, this one is my personal favorite. It seems to represent that special time from our child hood, when the best thing in the world was spending time with your best friend. The movie’s worth watching just for those adorable scenes of our two lead characters as cute little pups having fun together. Most Disney movies seem to fallow the same formula of a man and woman falling in love, but this film is different, it’s all about two kids who started up as best friends, but then grew up to be enemies. It’s a very dramatic and refreshing concept for a kids film. It ranges from dark and tragic, to uplifting and beautiful, and as a result, it doesn’t feel like any other film to come from Disney. The atmosphere is great and I especially love the conflicts at the end of the film, as it’s not your typical good vs. evil scenario. The ending is one of the phew scenes in an animated movie to get me all chocked up inside. Seriously, if this ending doesn't get you at least a little teary eyed, then you just don’t have a soul. If you can get past the films questionable (possibly offensive) depiction of a Native American culture and lack of proper history depictions, there are still a lot of things that I really love about this movie. 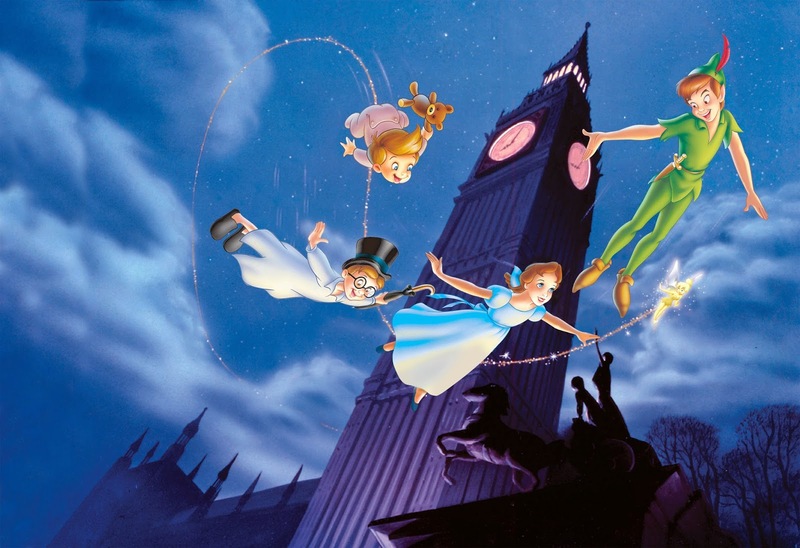 The music is stellar, and some of Disney’s greatest songs are featured in this film. 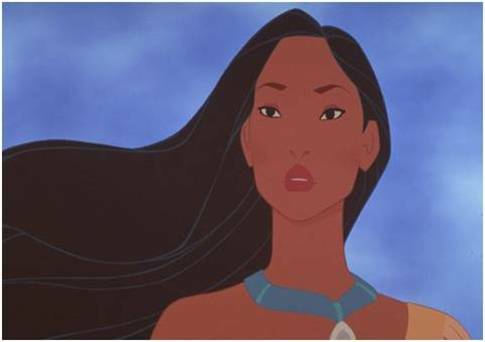 I love its magical air, the morals are great and Pocahontas herself is one of my favorite leading Disney woman. She has more of a spiritual nature, connected to the great things in life that we take for granted. I especially love how this is a story about warring neighbors with two people from opposite ends falling in love, kind of like “Romeo and Juliet” or "West Side Story", except this time the relationship was more beneficial for both sides. Beyond all of that, I just love looking at this film, the colors are so warm and the backgrounds are such rich spectacles. This is a film that you can watch on mute and still have a great time. 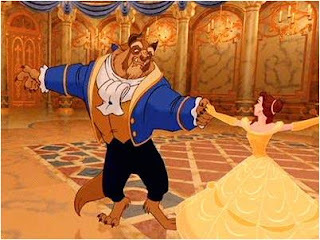 I honestly think it’s the most beautiful looking animated Disney movie ever made, and that's saying something. Oh Yeah, gotta include this film, it’s simply the funniest, hippest and purely entertaining film to come from Disney. 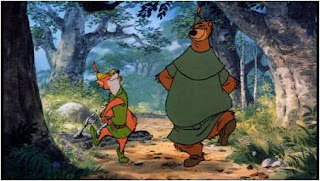 Seriously, if “Mel Brooks” or “Monty Python” ever tempted to do a Disney film, it would probably be like this. 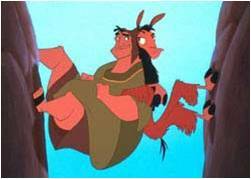 Both “Aladdin” and “Hercules” had their comedic moments but “The Emperor’s New Groove” is the only one that had me laughing myself silly as a kid. The film contains every great cartoon, comedy cliché, like the shoulder angel arguing with the shoulder devil, pointless moments like the chimp and the bug, someone arguing with the narrator, and my personal favorite, the lead character pausing the movie just to give the audience pointless information, classic! Despite being more like a “Looney Tune” cartoon than a theatrical animated Disney movie, there is still a lot of heart in this film and a genuinely touching reformation story about a selfish king that became a dignified man. The characters are a lot of fun, with their zany personalities but there not without some depth. All in all, it’s just joy wrapped in one big package. 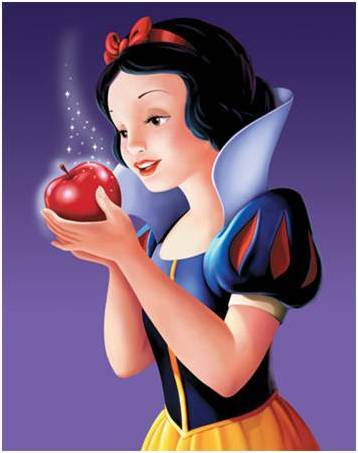 You couldn’t ask for a more wholesome and innocent family film than “Snow White and the Seven Dwarfs”, as it’s such a timeless treasure that no family should be without. For many kids, it was one of the very first animated movies they ever saw, thus one of the most nostalgic movies ever made, and it set the standard for animated films for decades to come. With all the new developments in animated technology, this film still stands strong with its magical story and wonderful characters. The songs are charming, the characters are unforgettable and the storytelling is light as air, which makes this one of the most simplistic, yet magical experiences you could ask for and that’s good enough for me. 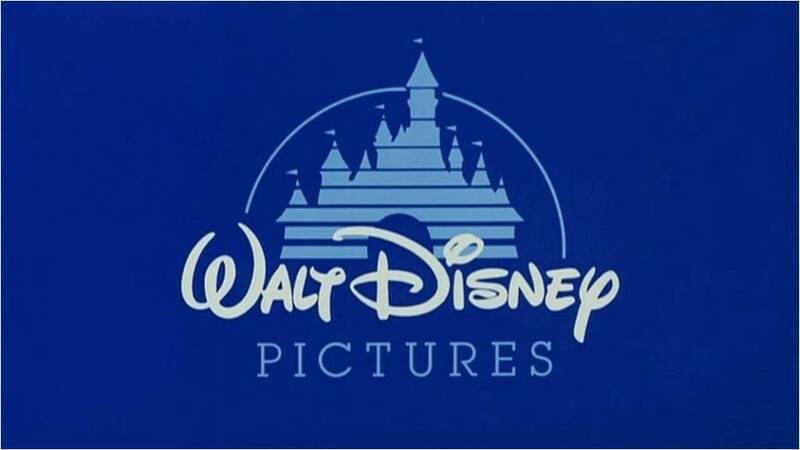 Personally, it’s my favorite of all the films to come from Walt Disney himself. No Disney collection is complete without this gem from Disney’s second golden age. It's simply the equivalent of a classic Disney movie, and whenever I think of a popular Disney hero, Disney princcess, comedic side character or Disney villain, these are the characters that always come to mind first. That doesn't mean there my absolute favorites, but they are the most nostalgic. It’s just an excellent cast of scene steeling characters that hold your attention through the entire film. 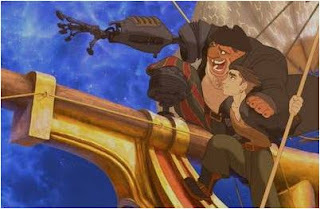 The music is great, the animation is top notch, there's a subtle message about excepting one's self for who they are, the lovers have great chemistry and it’s just one of the most thoroughly entertaining animated films ever made. Like I even need to say much more, you’ve all seen it, you know how good it is and if you haven’t seen it, then I’m sorry to say that your child hood just wasn’t complete. This is what you call a near flawless film, because everything just works. The female lead is great, the villain is perfect, the supporting characters are excellent, the animation is stunning, the music is unforgettable and it’s a classic fairy tale with deep subject materials like discovering the ugliness of one's life and finding the true beauty hidden deep within. I regrettably didn't grow up with this film the same way I did with other Disney classics, so it lacks the Nostalgic factor, but it hardly matters because this is still a great film and well worth watching weather you’re a kid or an adult. If you can’t afforded to go to Disney land in California, Florida or anywhere, then just rent this film, because this is every bit as exhilarating as any theme park ride, and its complete with drops, spins, speed, action and all kinds of enjoyment just being blown in your face at every minute. Yet, the films non-stop excitement never over shadows the characters or the message, which always stuck with me. The plot is a traditional treasure hunt adventure, but the focus is on a very nicely put together father /son kind of relationship between the hero and villain. It’s not the traditional Disney formula and it’s a refreshing concept for the film. The visual effects are amazing, combining CGI effects with traditional hand drawn animation, and it’s all just another big step in developed technology. The music is great, the pacing is fast and fun, it has a heart in the center and even though I didn't grow up with this film the same way I did with the others, it’s still a personal favorite and an awesome adventure through outer space. 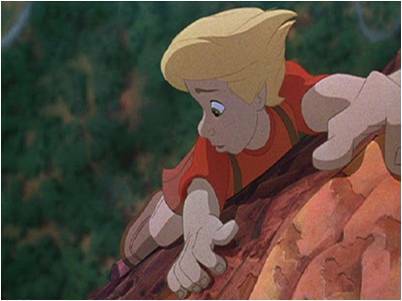 Whenever I’m feeling too picky about a film, I always look to “Fantasia 2000” to remind me that it's all about the experience, not the details. This is a film that has no dialog (at least from the cartoon characters) and no running plot but that’s the point, it’s the perfect example of a visual media. It’s not telling an emotional story, and instead it’s more like an emotional experience. There’s beauty, there’s terror, there’s comedy, there’s drama and it’s all brought to life with the simple use of combining animation with great music. The visuals are just amazing to look at, it’s so colorful and it all matches with the music so well that it literally becomes visual poetry. Characters convey so much with just their expressions and body movements that you don’t need dialog to get attached to them and it’s the simplicity of the whole experience that allows me to just enjoy this without critically analyzing anything. Even though the film has epic music combined with big visuals, it still flows with the graceful rhythm of a ballet. 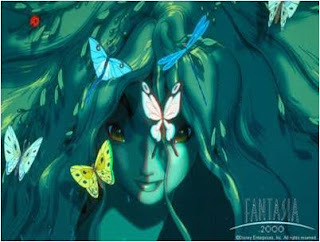 “Fantasia 2000” is just as beautiful to watch as it is to listen to. 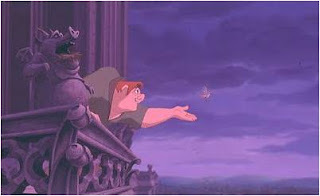 With its strong visuals, sensational music, dark themes, epic size and beautiful message of tolerance, “The Hunchback of Notre Dame” is arguably my personal favorite. Honestly, I just love how out of the box this one is, going for a more mature angle that plays for both kids and adults alike. The story is engaging and everything is brought up on a grand scale, the quire is big and the sheer size and scope of this film is just massive. The musical numbers are also some of my favorites, sounding great while still moving the story forward like an on stage musical. I also like how dark this film gets, it took more chances but it never went to far that it became unpleasant, in fact it always had something positive to balance out. 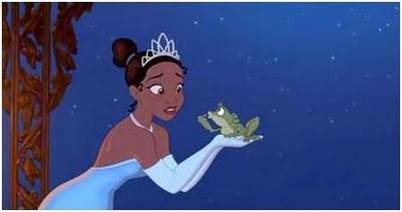 It also features a small cast of characters but there’s something so down to earth and genuine when their together on screen that they stand out as some of Disney’s finest. The hero is kind and humble, the villain is awesome, even complex and the supporting characters all do their job perfectly. There's even parts when this film touches on issues of faith and religion. All this and more, as if I even needed more, land “The Hunchback of Notre Dame” as my personal favorite, traditionally animated Disney movie of all time. I recently discovered your bog and enjoyed a lot having a look at your reviews and recommendations!I think it is really well written and with the exact amount of info to keep it interesting! I was wondering if you would be interested in sharing your posts and ideas on Glipho? I bet that our users would love to read your amazing stuff! It's a quite new social publishing platform, where you can connect to every social network accounts and really easy to use!In additional, you are able to import the posts from your blog in a super-easy way without affecting it at all.